Resistance among pharmacists to the idea of supplying MDMA would likely wane over time, just as opposition to the provision of opioid replacement therapy has done, says Dr Alex Wodak, a director of the think tank Australia21 and longtime harm minimisation proponent. This week the Daily Telegraph quoted Dr Wodak as stating that Australia needs a debate on how MDMA (ecstasy) should be regulated, including whether it should be sold in community pharmacies. Dr Wodak told the AJP that the current approach, leaving its sale to the black market, is not working, as particularly in the absence of pill testing services, this makes it difficult to ascertain what any one pill might contain. This approach also lacks any access point for health interventions. “The black market is untested and unregulated, with amateur chemists doing the manufacturing with dodgy equipment and dodgy ingredients, and sometimes getting it seriously wrong,” he says. 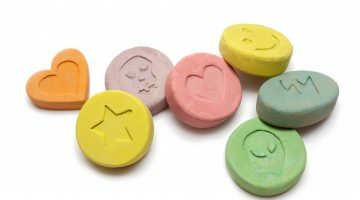 “50% of tablets sold as ecstasy contain nothing – or no ecstasy – and of the 85 or so tablets tested at the Groovin the Moo festival in the ACT in April 2018, two contained lethal contaminants that, had they been taken, would have landed the person taking them in at least the hospital, and may have landed them in the morgue. Dr Wodak told the AJP that prohibitions – including the early twentieth century prohibition on alcohol in the United States, hence the Al Capone reference – lead to a number of negative outcomes. “The link between all these prohibitions is that if demand is strong, and there is no legal source of supply available, then other sources will emerge. It’s as simple as that,” he says. “The more pressure that’s applied to the now-illegal drug market, the more dangerous the substances that are sold become. “For example, with alcohol Prohibition in the US between 1920 and 1933, as soon as alcohol was prohibited beer disappeared. As soon as repeal happened, beer came back. Instead, heroin injecting replaced opium smoking – but this was mainly taken up by younger, sexually active men, which Dr Wodak says “prepared the grounds for a serious threat of an HIV epidemic in the most populated region of the world”. 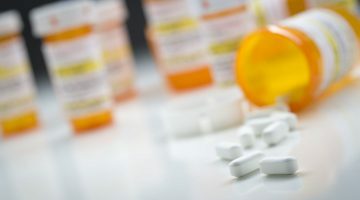 “There’s example after example where applying law enforcement pressure to a drug market makes a bad problem into a much worse problem,” he told the AJP. Were ecstasy legalised and regulated, pharmacies would be a good place to supply it, he says – including partly because pharmacists have a good chance to encourage users to reconsider their choice. “Where do pharmacies fit in? There are a lot of pharmacies. You don’t have to book an appointment. Pharmacies have to connect with their local communities – otherwise they don’t survive – so pharmacists are good people to talk to members of the community and explain things to them. “That’s why I think they are logical places to talk about ecstasy – pharmacists have a professional background and know their stuff, and many of them are also involved in the methadone program, so they’ve been thinking about drugs of addiction and drug problems for a long time. With accreditation and training, pharmacists would be able to discuss ecstasy use with patients, including offering health advice such as not taking the drug at the same time as any other psychoactive drug. “They would be able to manage to talk some out of it – not everyone, but for those who they can’t talk out of it, they’d be able to explain how to minimise the risks,” Dr Wodak says. Dr Wodak said he would not be at all surprised at any initial resistance to such a program. In an editorial accompanying its story on Dr Wodak’s suggestion, the Daily Telegraph urged readers to consider how pharmacists might feel about such a program. “Imagine being the pharmacist who has sold MDMA to a young woman, leading to her death. And consider how the pharmacist might cope when confronted by the woman’s grieving parents,” the editorial reads. Dr Wodak told the AJP that currently, there are already 2200 deaths from illicit – and prescription – drugs each year in Australia, as well as 19,000 deaths attributable to smoking and 5,000 attributed to alcohol. He cited research by Professor David Nutt and colleagues which ranked 20 drugs, licit and illicit, in terms of their harms. 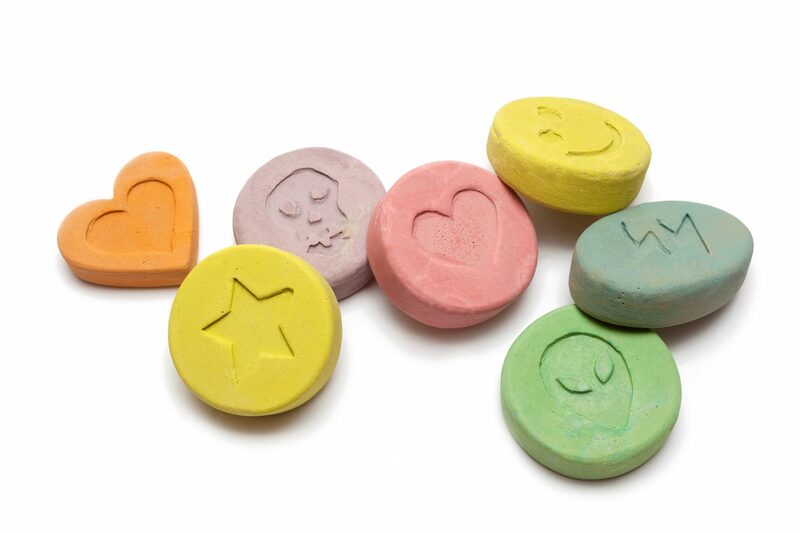 Ecstasy was ranked by these experts as number 17, with alcohol at number one. “It’s a low-risk drug,” Dr Wodak says, adding that MDMA is not a drug of addiction and many users would take it only once, or a handful of times, a year. “But you convert a low-risk drug to a high-risk drugs by confining supply to black markets, and banning measure such as pill testing. And I don’t want to make MDMA high-risk, but as low-risk as possible. “The lowest risk of all is that people who were thinking of taking MDMA don’t take it. But try telling that to a 19-year-old whose mates all want to take it and all want to go dancing for three hours, and all think they’re going to live forever and be beautiful forever. A spokesperson for the Pharmacy Guild said that any such suggested regulation of MDMA would be a matter for the TGA. “And we think it very unlikely that such a drug would be approved by the TGA and included in the S3 schedule of medicines for supply through pharmacies,” the spokesperson said.